Dive into where all of your heart's secrets await. 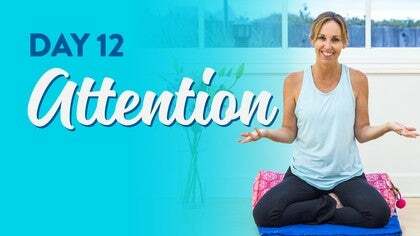 Join Nikki Estrada for 21-minutes a day for the next 21 days and allow meditation to help you find what you have been seeking. 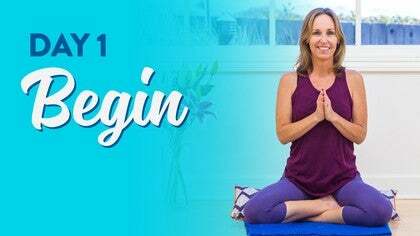 Steeped in the Tantric lineage of practice, Nikki introduces a range of techniques to allow you discover your new daily habit. See you on the cushion! What you will need: Mala beads and a meditation cushion or any props to help you find a comfortable seat. We've created six movement practices to go along with this challenge to support you in finding a comfortable seat. 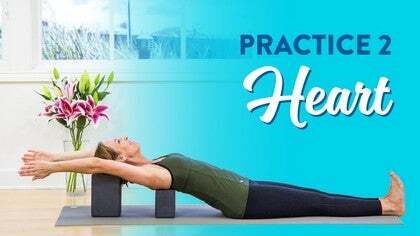 Warm the body in preparation for meditation. In this movement practice we generate some heat by focusing on the abdominals. 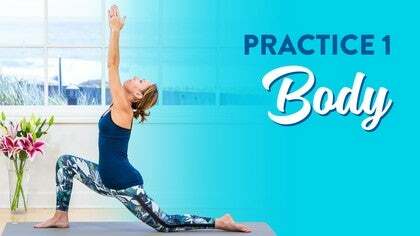 Waking up the legs can be just the movement practice you need before meditating. 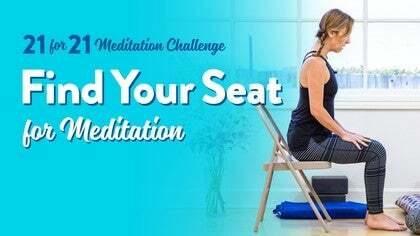 Try this practice before finding your seat for meditation. We begin by observing the sensations and check-in points to notice all the changes that are occurring within. We find our seat and align, continue to work with a counting technique, and start to explore mantra meditation, working with the cosmic sound of AUM. After establishing our framework, we soften and expand on the mantra AUM. 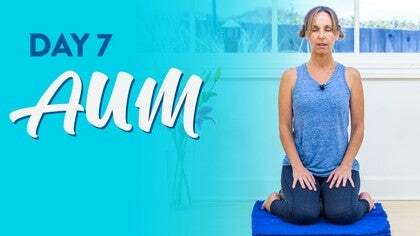 Upping our meditation game and continuing with a mantra-based meditation practice, we are adding the breath's natural mantra of Soham. 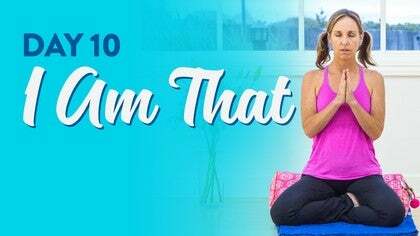 Working the the same mantra, Soham, we internalize the mantra and go deeper into our meditation practice. 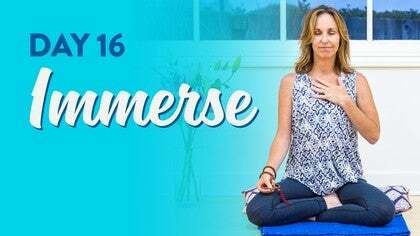 We settle in before moving into a mantra-based meditation practice working with the energizing and uplifting mantra, hamsa: that I am. Lets find a seat, and tap into our mantra, Hamsa. Connecting in using this mantra links us to a sacred practice dating back thousands of years. We add the use of a mala, or prayer beads, as a new technique for our meditation practice. Similar to yesterday, we continue to explore japa mala meditation, today, with the mantra Hamsa. Pause and notice the effects. We work with a mala and the mantra soham again so that we can start to observe which mantras resonate more deeply with us. In an effort to help us get clear on the technique that works best for us, we explore another mala mediation practice working with the mantra hamsa. Shanti means peace. 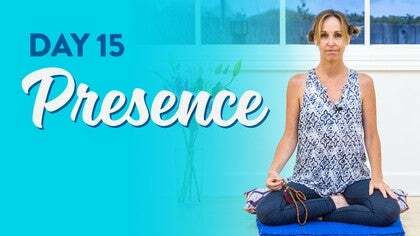 We invite in a new vibrational experience working with the mantra, Om Shanti Om. Working with the mantra Om Shanti Om for the second day in a row, we tune in and notice the vibrations and invite in a sense of peace and calm. Today lets look at another mantra, one that is mostly likely new to you and radically different: Om Shiv Gorak Yogi. 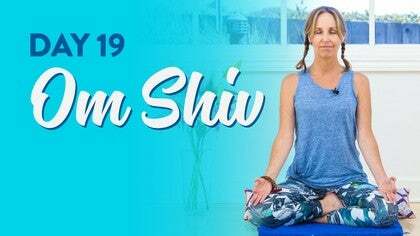 Commit to your meditation practice with the mantra Om Shiv Gorak Yogi to acknowledge the Supreme of the yogis and offer a gesture of gratitude. In our last day together we will again explore the mantra Om Shiv Gorak Yogi, increasing the feeling tone, and surrendering to the mantra.